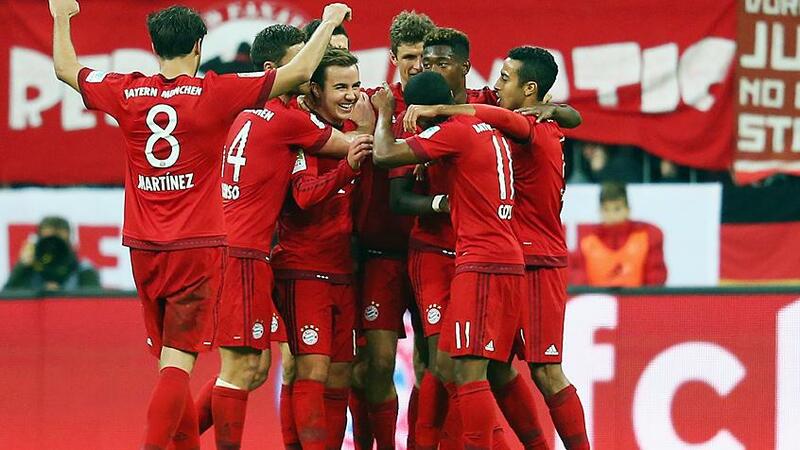 Bayern Munich continued their imperious run of winning every competitive game this season, blowing away their closest title challengers Borussia Dortmund with a stunning performance. Goals from Thomas Muller and former Dortmund fan favourites Mario Gotze and Robert Lewandowski helped the champions past what should have been a stern test for them. Going in to the game, we were looking at two of the most unstoppable teams so far this season going head to head in what we hoped to be a tightly contested game. Bayern had Robert Lewandowski, with 10 goals in his last three games, while Die Borussen could boast the qualities of Henrikh Mkhitaryan and Pierre Emerick Aubameyang, who has scored in his last 8 games. The visitors made a lively start, without really troubling Manuel Neuer or his defenders. Ilkay Gundogan stood out for the early stages as Bayern struggled to adjust to the tempo set by the away side. A quarter of an hour in, they broke in a 3 on 2 situation, however the final ball across was not the desired product from Henrikh Mkhitaryan, this was to be the end of Dortmund’s stranglehold of the game. Roman Burki looked overwhelmed by the occasion, his first game against Bayern since his summer move to Thomas Tuchel’s men. First, he flapped at a free kick by Douglas Costa,he struggled to organise his back line and was in no man’s land when a ball over the top by Jerome Boateng released Thomas Muller, who gleefully dribbled past the onrushing, yet clumsy Burki to slot into an empty net. 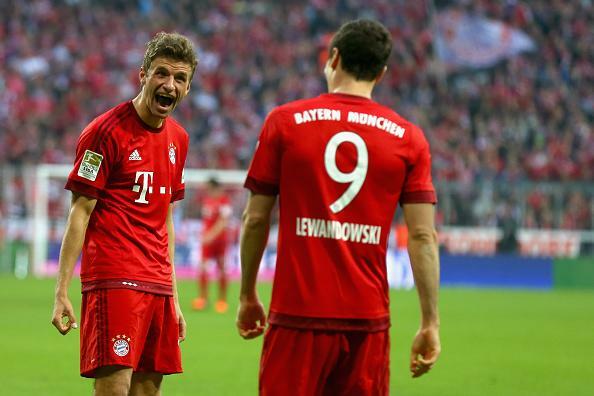 Bayern continued to control the game thereon. Douglas Costa was brilliant and penetrative, putting real pressure on the Dortmund defenders as he skipped past challenge after challenge and whipped balls across consistently. Henrikh Mkhitaryan made a clumsy challenge on Thiago (who had an impressive game), and there was no doubt about Muller doubling his and Bayern’s tally from 12 yards out. Tuchel had made his move, Gonzalo Castro shifted out to the right wing, and it was he who ultimately provided a superb ball for Aubameyang to provide hope for the visitors. Seconds after the break, another long ball by Jerome Boateng found Lewandowski in space and he was more than happy to smash into another empty net, Burki had been found out of position again and his misery continued. Moments later, Dortmund were spared from punishment, Gotze somehow managed to fire off target from a yard out after Burki was stranded on the edge of the box. However, this didn’t stop him from providing a wonderful assist for Lewandowski’s 2nd, his 12th strike in his past 4 games. Marco Reus and Adnan Januzaj came on to try and restore pride for Die Borussen, but the game was already gone, Gotze put the gloss on an excellent result for Thomas Tuchel’s side with an exquisite finish from 15 yards.